AFL Sydney is pleased to announce that the East Coast Eagles have been awarded an AFL Sydney Women’s Premier Division licence from next season. AFL Sydney recently completed a submission process for a vacant position within the competition and following a considered review process, the East Coast Eagles have been successful in their application for entry into the Premier Division competition. 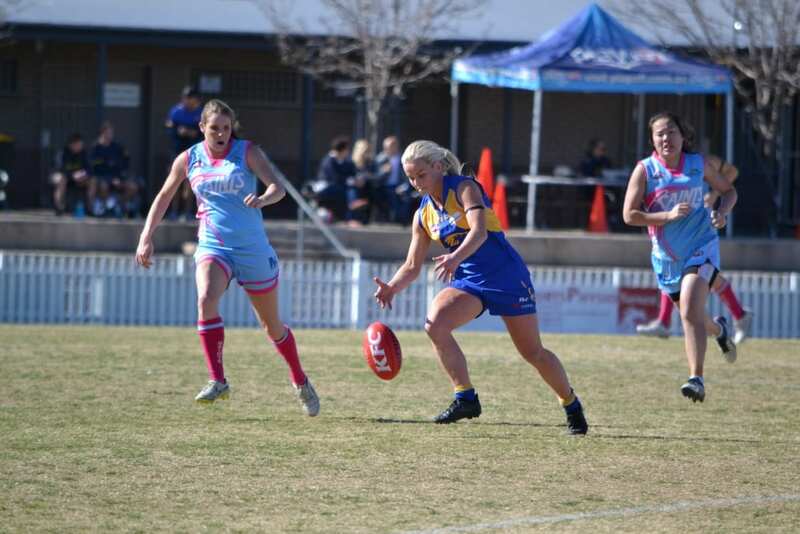 The Eagles introduced female football in 2017, where their inaugural team competed in the AFL Sydney Women’s Division One competition. They continued to grow on and off the field in 2018, putting the Club in a good position to transition into Women’s Premier Division for the 2019 season. Lauren Bunting, Community Football Manager – AFL Sydney was pleased to welcome the Eagles into the Premier Division competition next season. “AFL Sydney congratulates the East Coast Eagles on joining the AFL Sydney Women’s Premier Division competition in 2019. We are looking forward to seeing the Eagles play at the highest level of Women’s Community football in Sydney.” Bunting said. “The Eagles have set up a thriving female football program in the fast growing North-West region of Sydney. With strong local connections and clear pathways from junior to senior football and an extremely strong coaching and executive group, they will continue to drive their female football program to the next level. “AFL Sydney is looking forward to working closely with the Eagles to offer them any support necessary to ensure that they are ready for next season both on and off the field. President of the East Coast Eagles, Jon Gawley said the club is thrilled with the announcement. ‘This progression into Women’s Premier Division enables our club to build on the momentum of growing youth and providing a strong pathway for talented women in the region to play at the highest level.’ Gawley said.